The HATT Foundation, Haiti branch is a registered 501(c)(3) nonprofit organization. Our program focuses on addressing the country and communities’ most urgent needs. Working with local farmers and farming groups, we are planting trees to reforest degraded hillsides, produce sustainable charcoal and fuel wood, construction materials, food, produce biodiesel, and establish intensive hillside farming practices. The island nation suffers from one of the highest rates of deforestation in the world. This is troubling for a number of reasons. The loss of nearly all its trees promises to amplify how dramatically earthquakes, hurricanes, and other periodic natural occurrences impact Haitians, to say nothing of deforestation’s impoverishing legacy of erosion and climate change on local scale (less moisture). Without trees holding the soil in place, a heavy rain — let alone a hurricane or an earthquake — can easily cause mudslides on the island’s steep slopes. Fewer than 100,000 acres of forest remain in Haiti, a country that was three-quarters tree-covered when European explorers first arrived 500 years ago. The nation, the poorest in the Western Hemisphere, has lost perhaps 98 percent of its tree cover, one of the worst cases of deforestation in the world. By most accounts, cooking fires are the major culprit behind the nation’s loss of trees. Haitians use trees as fuel either by burning the wood directly, or by first turning it into charcoal in ovens. Seventy-one percent of all fuel consumed in Haiti is wood or charcoal, according to the US Agency for International Development. Every year, the country’s 9 million (and growing) inhabitants burn a quantity of wood and charcoal equal to 30 million trees. That’s 20 million more trees than Haiti grows yearly. The loss of trees and their roots has led to widespread erosion. Some 36 million tons of valuable topsoil is swept away yearly, according to the United Nations. Some ends up in waterways. Rapid erosion caused by deforestation is spilling large quantities of silt into Lac Azuei, raising lake levels and flooding the road connecting Port-au-Prince to Malpasse. The original road already lies 2 feet below the water line, but the government has been piling sand on top of it to keep the critical passage open. The lake is rising still. National Geographic reports that the extensive deforestation will likely exacerbate the negative impacts of the recent earthquake. Surrounded as it is by an amphitheater of treeless mountains, the city of Gonaïves has long been defenseless against the onslaught of hurricanes that pound Haiti every summer. Unencumbered by trunks or roots or shrubs, the water sloshes freely downward, gathering into apocalyptic mudslides that destroy homes, crops, and livelihoods. In 2004 a single storm claimed 2,000 lives from this one city. Amid a host of competing priorities, the seemingly least urgent task may prove to be the most significant: planting as many trees as possible. Almost all of the country’s problems—natural disasters, food shortages, poverty—can be traced back to rampant deforestation. By absorbing water and holding soil in place, trees can minimize the impact of natural disasters and repair nutrient-poor agricultural lands. An aggressive reforestation campaign would also bring much-needed jobs to the region and, if done correctly, could solve the energy conundrum that led Haitians to cull their forests in the first place. “Planting trees is not just some quaint side project, It’s the key to rebuilding the country. The island nation suffers from one of the highest rates of deforestation in the world. This is troubling for a number of reasons. The loss of nearly all its trees promises to amplify how dramatically earthquakes, hurricanes, and other periodic natural occurrences impact Haitians, to say nothing of deforestation’s impoverishing legacy of erosion and climate change on local scale (less moisture). Without trees holding the soil in place, a heavy rain — let alone a hurricane or an earthquake — can easily cause mudslides on the island’s steep slopes. Haiti and the Dominican Republic share the same island in the Caribbean — Hispaniola. Both countries are at the same latitude and, generally speaking, the same climatic conditions prevail. But one country, the Dominican Republic, has lush forests, while the other, Haiti, is almost completely brown and bare. The stark difference is visible from high above — one side green and full of foliage, the other bare. 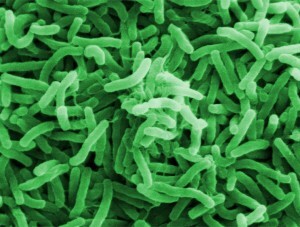 Rampant cholera in tainted water supplies plague Haiti. One-third of the nation lacked access to safe water before the January 12, 2010 earthquake. In the months following the quake, the situation became devastating. A study by the World Health Organization found that infectious diarrhea caused by unsafe drinking water and poor sanitation was the second leading cause of death in Haiti, and the top cause for children under five years old. Access to clean drinking water and basic sanitation continues to be one of the greatest needs to prevent an epidemic of water-related deaths. 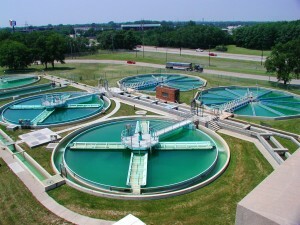 The HATT Foundation is introducing sanitary waste water systems for the first time. Many of the rivers and lakes in Haiti are polluted and cholera is killing thousands of Haitians, and people are getting sick from their only water source. Without the availability of large water cleaning systems, Haitians are forced to continue suffering from the usage of polluted water. Boiling water before drinking it does not always remove the bacteria, metals and other impurities that make it fully potable. Haiti needs to have clean water-by-water filtering systems. 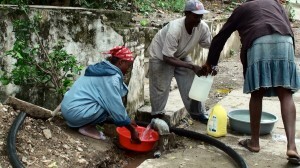 Many Haitians do not have filtered water systems near their home. They live in very poor conditions under a government that historically has not provided water systems for clean drinking water, nor waste water for sewage systems. Over 70% of Haiti is still like this. We who live in the United States and other parts of the advanced western world fail to understand this. Together with H.E.C.C.A. and HATT Foundation, we intend to build 9 water plants, complete with water filtration and waste water treatment systems for the poorest people of Haiti. Recent natural disasters like earthquakes, hurricanes, and Cholera have caused massive destruction that’s amplified by deforestation. Water shortages in Haiti are at dangerously high levels, and families are dying from a severe lack in clean, ample drinking water.